Maryland is now home to two Fab Labs open to the public, Fab Lab Baltimore in Catonsville, Maryland and Montgomery College Fab Lab. What is a Fab Lab? A Fab Lab or fabrication laboratory is a laboratory space set up for designers to realize their ideas in the form of prototypes by using technologies usually available only to large scale mass production projects. The Fab Lab makes it possible for designers to use specialized tools such as 3D printers, rapid protoypers, printed circuit board milling and etching machines, and various types of cutters for sheet metal: laser, plasma and wet jet. There are currently 107 Fab Labs in the U.S. and Canada. The Open Works Maker Space in Baltimore City is planning the next Maryland based Fab Lab to open in September 2016. 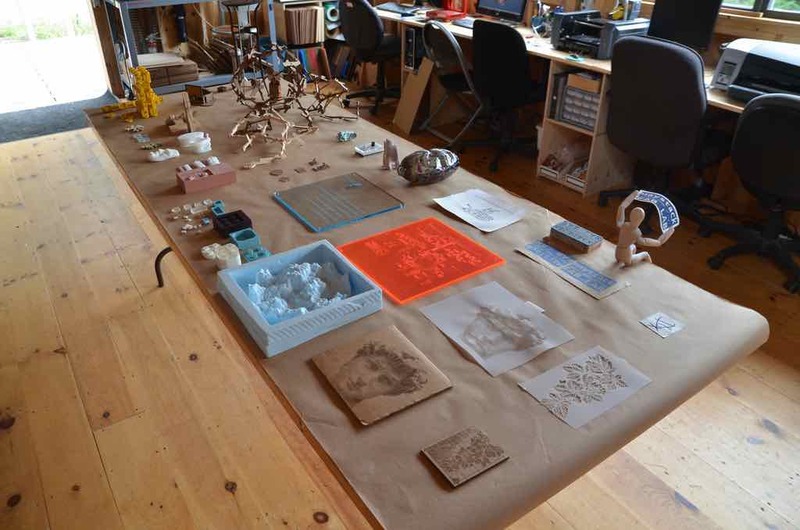 The Fab Lab at Haystack Mountain School for Craft in Deer Isle, Maine is a premier example of the interaction between designer’s ability to make things by hand and using technology, one of the key policy goals of the Maryland Design Excellence & Innovation Commission. The activity in the Fab Lab at Haystack is the basis for studying and identifying innovations in both manual creativity and technologies. A more in depth case study is being written to explain how this interaction takes place at Haystack. Please check back for the rest of this story.